I saw this on Pinterest(the devil!) I could not wait to try it out! I used Graphic 45 papers. This entry was posted in Scrapbooking and tagged bookmarks, scrapbooking. Bookmark the permalink. 3 Responses to New BOOKMARKS! These look so cool! I like the pearl and jewel accents adds to that 1920s glamour. 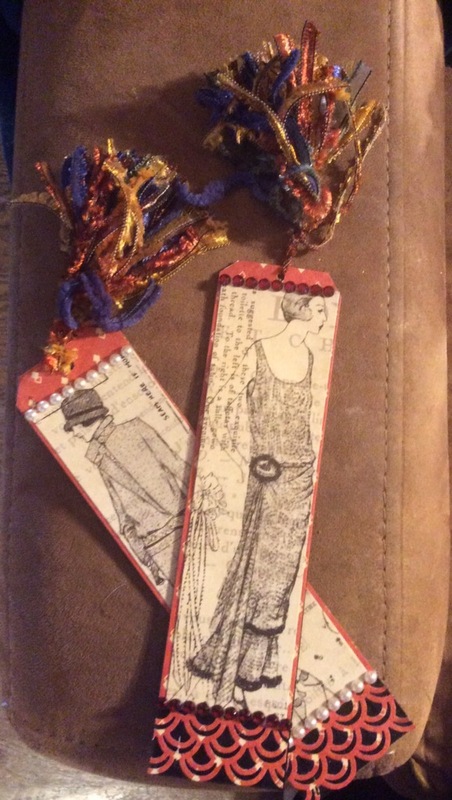 Wonderful bookmarks. It’s my favorite too. Thanks so much! Reeca, these are beautiful! I agree with the morning scrapper, your accents do add to the 1920’s them. Have a great week, my friend.